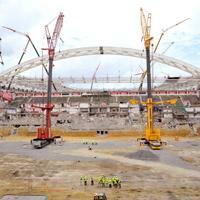 31.07.2013 Atlanta: Where will the new Falcons Stadium stand? 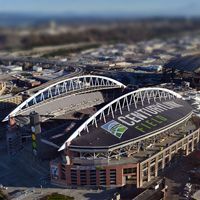 Associated Press has learned that Atlanta Falcons are considering building the new stadium in a different location than planned so far. The reason is not acquiring the entire required plot due to local church asking too much. Completely wooden terrace or grassy embankments for picnic atmosphere? That’s not the only thing today’s additions have to offer. 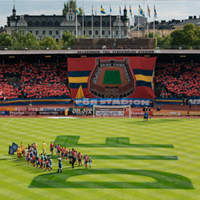 Welcome to three new Swedish stadia! 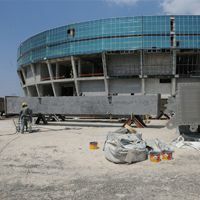 After the concrete bowl was finished preparation works for roof installation started. 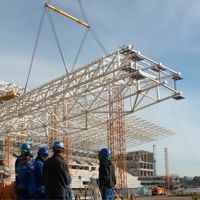 Now steel prefabs are being connected together to form larger roof trusses that will be mounted onto the stands in the upcoming two months. 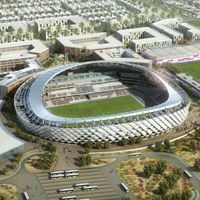 While the massive Sports City with two stadium is being built outsider Basra, within the urban fabric a more modest, but still impressive project is taking shape. 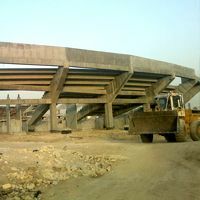 One of Iraq’s oldest clubs, Al Minaa FC, is getting a new home. 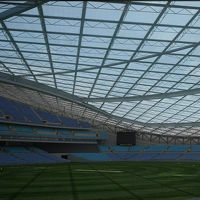 The membrane over Big O’s playing field is dilapidating far faster than expected. 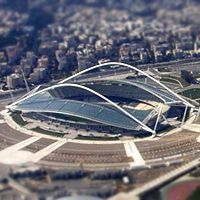 A solution needs to be found soon or else big events won’t happen and the stadium will only prove more of a burden. But nothing solid is in place yet, according to Montreal Gazette. 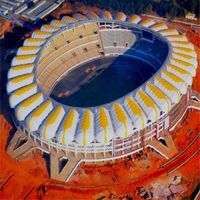 Retaining the oval shape of existing Monumental, while updating it to meet modern standards – that was the aim set by River Plate when they asked Brazilian Plarq Arqitetura to redesign the stadium. 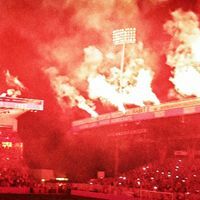 Whenever Feyenoord begin their pre-season training sessions, De Kuip is filled with fans and boils from the flares and chants. This time they weren’t only addressed at the players, but also Marck, a 54-yo supporter ending his battle against cancer. 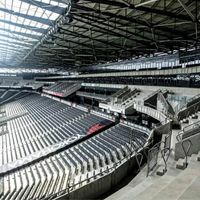 Railings can already be seen ahead of seat installation at stadiummk’s upper tier. 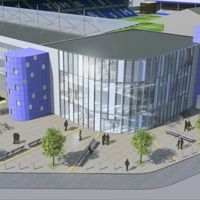 Capacity will rise to 30,700 seats, while outside stands will be surrounded by over 300 hotel rooms. 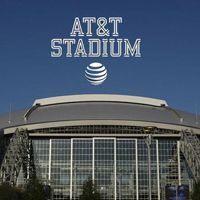 It’s been speculated about for years and finally came to fruition – the deal worth $17-19 million per year will see Arlington’s record arena called AT&T Stadium for… no-one knows how long. 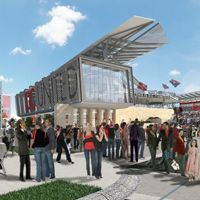 After a decade of waiting the case of DC United new stadium is closer to a happy ending. 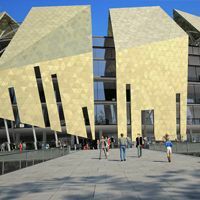 A $300 million project just received a boost. But it won’t happen without the support of Washington DC municipality. There are still three options possible and each of them needs to be carefully examined before being subject to referendum. 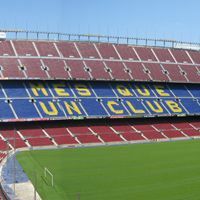 Whichever is chosen by socios, can only be carried out if FC Barcelona manage to reduce their debt by over 30%. 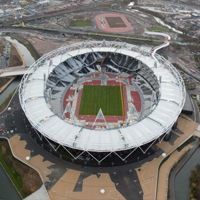 Each year between football seasons the Olympic Stadium will become heart of English athletics with first event coming this weekend. 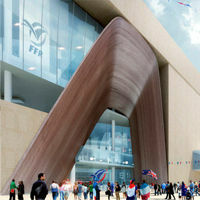 The deal is considered a major step towards a year-round use and meeting the Olympic legacy plans. 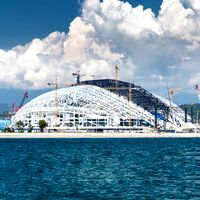 Winter Olympics, F1 Grand Prix, FIFA World Cup – these are all prestigious events, but in total they provide just a few sell-out crowds over several years. 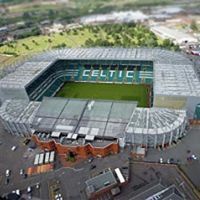 What will by happening at the stadium between each of them? Surely massive spending, nothing else is certain. 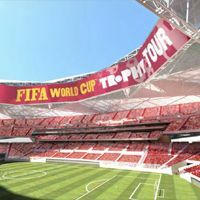 FIFA took its infrastructure after the Confederations Cup and domestic managers offered little in return. 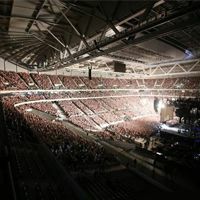 As a result, fans and journalists are outraged, while thousands of seats remain empty due to extremely high ticket prices. 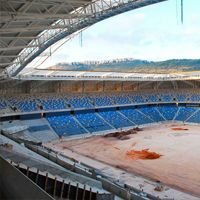 Two stands that were due for completion in February and then late June are finally finished. 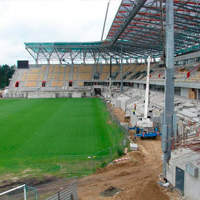 Once all delivery procedures are done, contractor should begin demolition of remaining stands and rebuilding them to match the new ones. 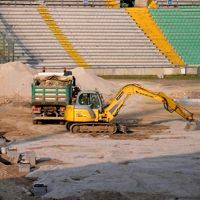 Although widely criticized, Transstroi will not be removed from the construction site after their contract expires this autumn. 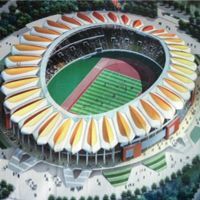 Replacing the company would cause even a year long delay in what is already the most ridiculed project of 2018 World Cup. 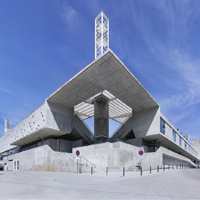 This is an unprecedented solution, used first time here in Lille and on Saturday it was given its first event test. 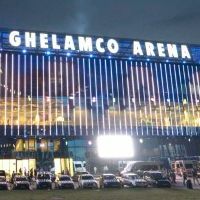 Half of the stadium was converted into a closed arena to host Rihanna. 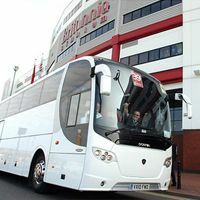 21.07.2013 England: Stoke City offer free transport to every away game in 2013/14! 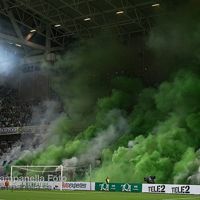 This kind of initiative isn’t new for one or two matchday trips, but all season? That’s a first for any English club and – to our knowledge – this goes for every other country, too. Stoke decided to give more to the fans and are willing to take them everywhere for free. 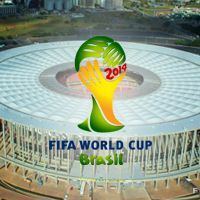 Fans from other countries may be forced to spend a small fortune on tickets for the 2014 World Cup. 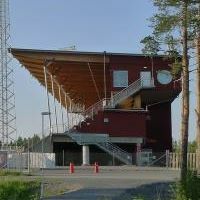 Very cheapest entry stands at $90 (€69), while most expensive one is $990 (€755). 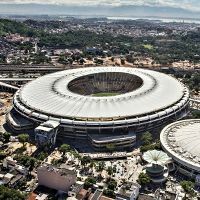 Brazilians will pay three times less, which seems to be the result of massive demonstrations protesting the tournament. 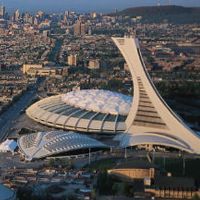 Not every game will be affordable, but UEFA announced a new policy, along which ticket prices for Euro 2020 games will depend on living cost in the host country/city. 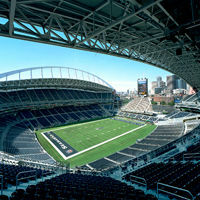 Not quite finished, but clearly operable if the host team already won their first game with a sell-out audience. 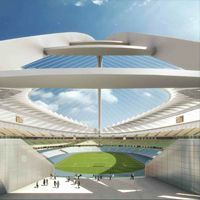 That moment was long awaited, because initial renderings of the stadium were shown a decade back. 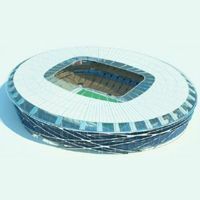 Each of them will eventually reach 240 meters and hang above the southern and northern section s of the Corinthians Arena. Currently first two modules of the steel trusses were raised, twelve more await mounting. It’s very expensive and original. And it’s almost done already! 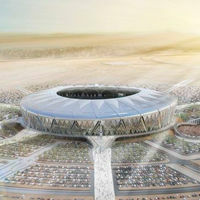 The new stadium for current Emirates champions Al Ain FC is expected to become exemplary for the Arabian Peninsula. 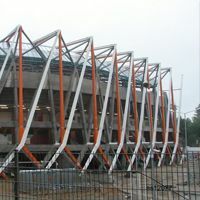 While their stadium is being demolished, BJK need a temporary home. 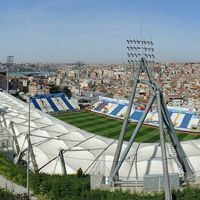 The club chose to rest at neighbouring Kasımpaşa for the upcoming season. 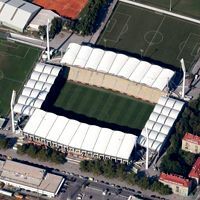 This raised criticism among fans, because the clubs are extremely antagonized recently. 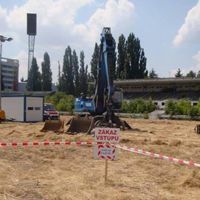 15.07.2013 Romania: Craiova facing expropriation trouble ahead of new stadium construction? 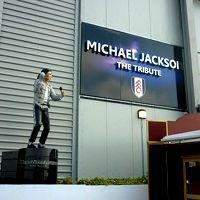 Passing his beloved club to new owner, Mohamed Al Fayed warned Shahid Khan to respect the Michael Jackson statue near Craven Cottage. In return he heard that fans will first be asked. Just days after the officially approved name was announced, government and president backed out of their decision and listened to the people. In a widely praised move they changed the name on Friday. 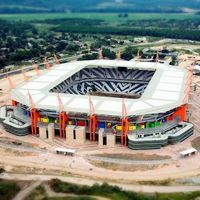 The controversial consortium operating Brazil’s biggest stadium yesterday introduced a new set of rules at the ground. 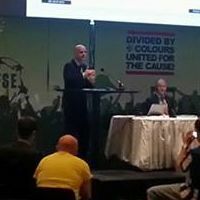 Many supporters and journalists are shocked as most of the ‘Brazilian style’ in supporting has been banned. But that’s a problem only for those, who can afford new ticket prices. 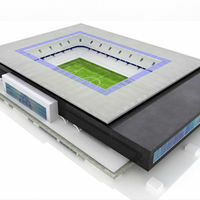 Throughout the week until autumn everyone will be able to see and comment on plans exposed by City inside Etihad Stadium. 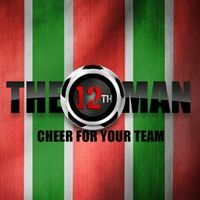 The club invites all fans, also of other teams, to discuss the matter. 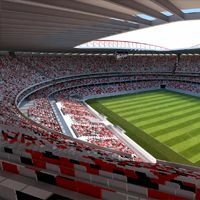 They also showed first renderings of the 60,000-seat layout. 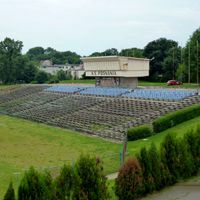 Opened in 1940, it hosted roughly 2,700 games, but not even one more will take place here. 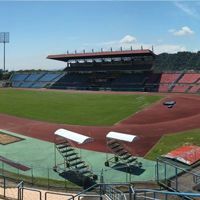 Today demolition works began at the run-down national stadium which has been taken over by wild vegetation in recent years. 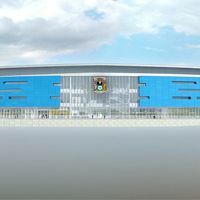 With just 15% of works still to be done, the new national stadium in Lusaka received official naming. 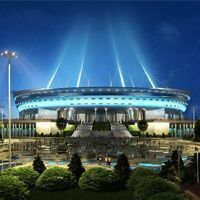 It will pay tribute to players and staff killed in 1993’s air crash, in which all of the national team perished. The back straight was opened in February and is now getting colourful. Of course as long as brown, red and white is your definition of ‘colourful’. 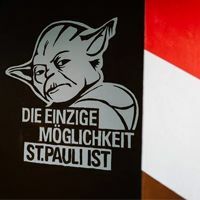 But it seems to suit Sank Pauli fans, who will finish their painting action this weekend. 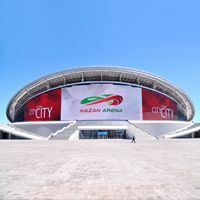 These may not host the 2018 World Cup, perhaps even as training venues, but they're going to make a very decent addition to the Premier Liga, once ready. One is already in progress, the other awaits for construction to begin. 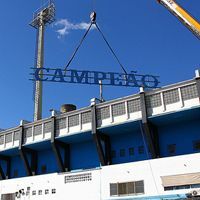 Taking central point of the stadium's plaza, new massive statue is being set right now. 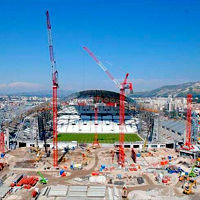 Meanwhile works on the stadium are in the final stages, awaiting its summer delivery deadline. This venue used to host the likes of Indira Gandhi, but this weekend elephants were the main attraction. 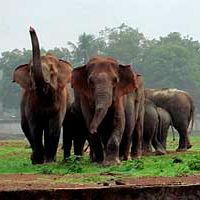 After entering the city of Rourkela and causing minor destruction, wild animals stopped at the stadium and were closed there by locals until evacuation plan was done. Financing seems secured after years of deadlock, according to Le Figaro. If all goes as planned, construction should start in early 2014 and delivery is expected by the end of 2016. Second part of the visual presentation shows Europe's top leagues in terms of attendances. Then we take a closer look at six top leagues, where crowd numbers and percentage of stadium sold for each club are presented. Enjoy! 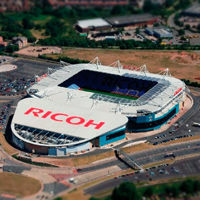 04.07.2013 England: Northampton stadium to be expanded, will Coventry City play here? 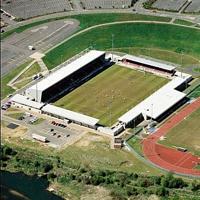 Northampton Town agreed terms with the local council to expand Sixfields Stadium to 10,000. 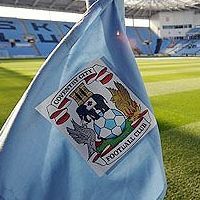 The news comes as Coventry City are speculated to share the ground for as long as three seasons. 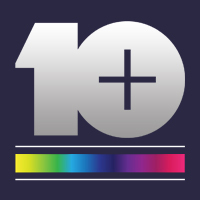 A BBC report. 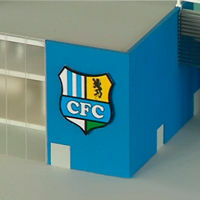 Having won promotion to the Bundesliga, Eintracht Braunschweig started redeveloping their VIP zone. 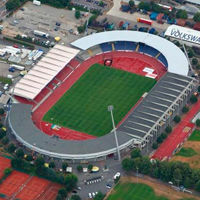 However, as roof is leaking, the club may be forced to host their guests in a tent, according to NDR.de. 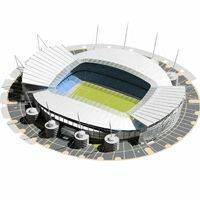 Images and video of how ANZ Stadium might look in the future were revealed. 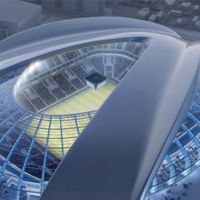 The revamp, consisting of retractable roof, stands and new commercial outlets is expected to cost $250 million. 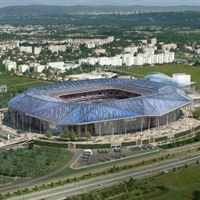 With construction due to begin next year, funding needs to be secured for France's largest stadium. 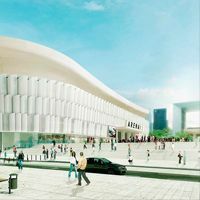 The national federation FFR approved issuing bonds worth €200 million, covering over one third of the project. 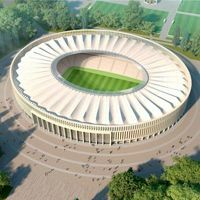 Today two stands of the new Białystok municipal stadium were to be delivered to the public investors. 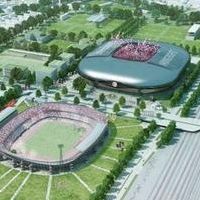 However, Spanish contractors didn't manage to meet their third deadline already, Gazeta.pl reports. 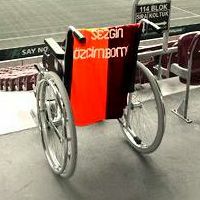 She only missed two games in 2008, when she suffered from a stroke. But her last away trip ended up with five stitches. 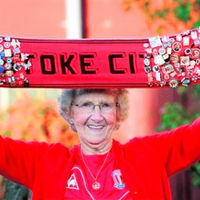 At the age of 93 her body didn't manage to recover and Mabel Smith ended her journey following Stoke City last Thursday. 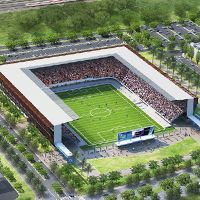 After last week's selection of BAM as general contractor it seemed the 15,000 new stadium can finally go ahead. 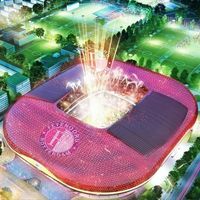 Not yet as other bidders object to the tender outcome. Their complaint has to be reviewed now, Freie Presse reports.